Ha! I love it! 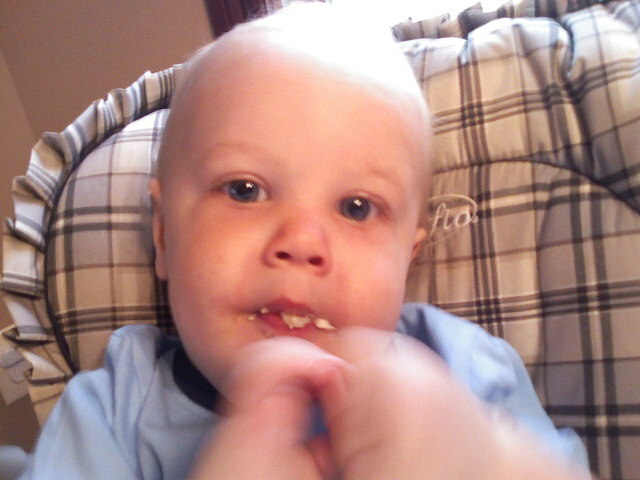 I can't eat a banana without having to share with Mylo. And he takes THE BIGGEST bites. That's so funny! 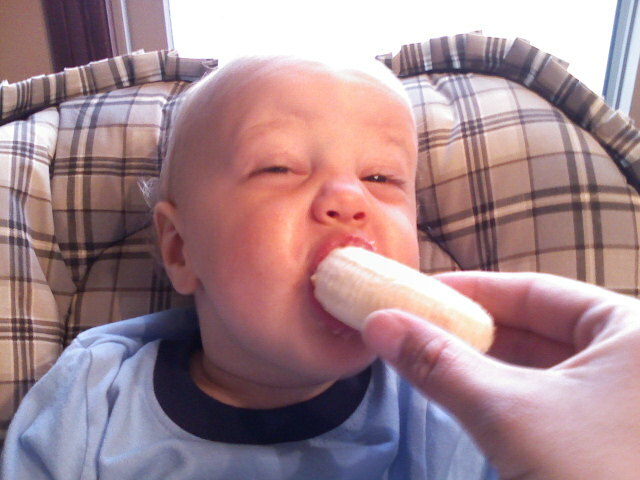 Alec used to eat like 3 or 4 bananas a day when he was a toddler; we had to hide them because they would make him constipated when he would eat that many!